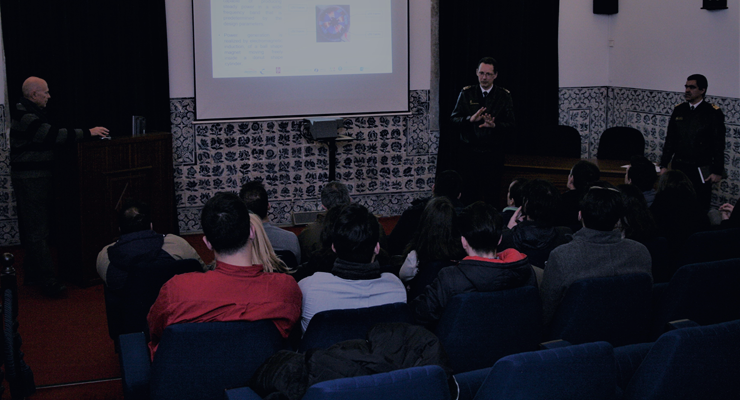 In the afternoon of 6th February, a party of the Energy Harvesting research unit of the University of Minho visited Instituto Hidrográfico (IH), Lisbon. After being acquainted with the research facilities of IH, the party attended a short session purposely organized to introduce MELOA, emphasizing the research component on energy harvest to be included in the WAVY Ocean units. A lively discussion occurred centred on possible links to be established between MELOA and MarRisk, an ongoing Interreg project where IH and the University of Minho are part of the partnership. The use of WAVY drifters is planned to occur within the activities of MarRisk.